All sessions will be held indoors in a warm and safe environment and will focus on your child, making new friends, learning new skills, teamwork, learning Spanish and most importantly having FUN. 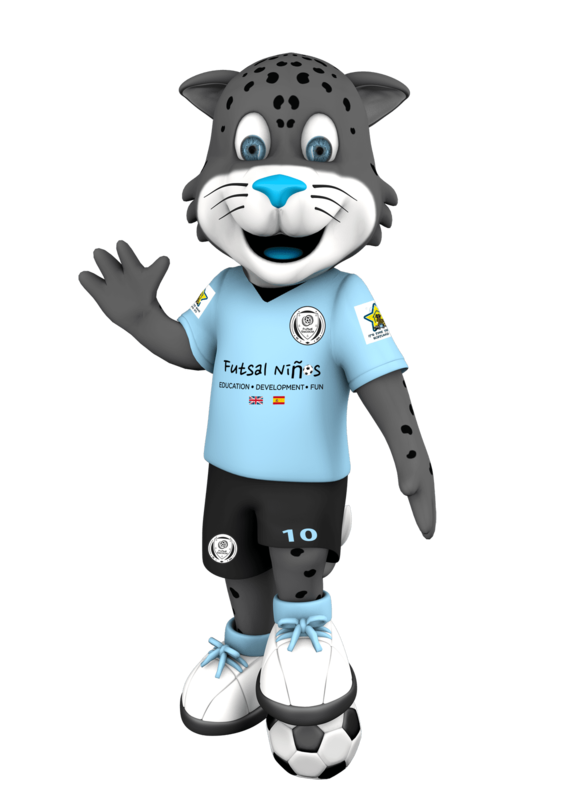 Sessions will frequently include visits from our new mascot, Ricardo the Jaguar, who like futsal originated in South America. The sessions are open to boys and girls aged between 3-5 years of age and are used as a stepping stone to the Futsal Escocia Beginner Coaching sessions (5 years and above) and to a football pathway with local football partners. For further information or to reserve a place for your child please email futsalninoswf18@gmail.com or contact Neil on 07365493889.